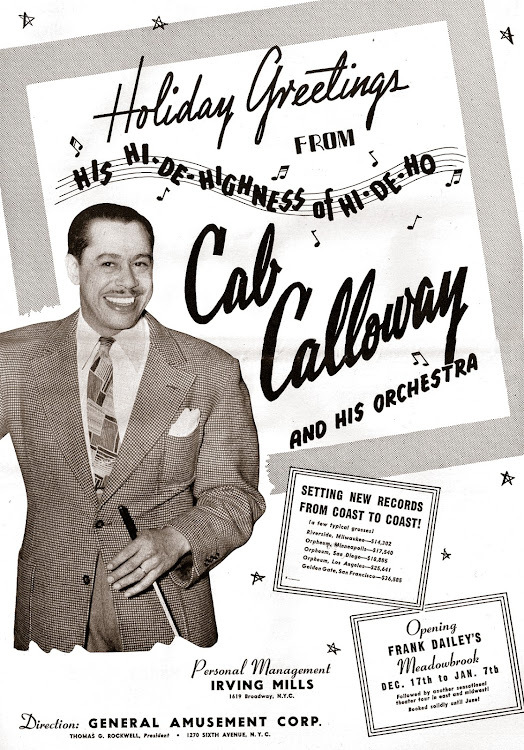 A Hi-De-Ho Happy Holidays greeting from Mr. Calloway from a full-page ad in the December 15, 1942 edition of Down Beat magazine (then a quarter-fold tabloid). Best wishes to all of Gems' web friends for a swinging holiday season and a syncopated New Year. Let's hope 2017 will be an improvement over 2016. 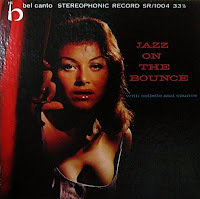 But whatever the future holds, you can depend on Gems of Jazz to post more obscure treasures, curious rarities and other jazzy oddities over the next twelve months. Here's a favorite of mine from Babs Gonzales that, if you've never heard it before, I think you'll dig. Best wishes to all! Sometimes, when you're flipping through odd sides in a record bin (remember those? ), usually in the section marked "Miscellaneous," you come across an artist whom you've never heard of. In the case of this offering, two artists who were largely unknown, to me anyway. I was shopping in one of the few remaining record stores in Manhattan a few weeks ago, and I came across this old Bethlehem release, priced moderately enough (the only kind of price Gems' tight-wad host considers). 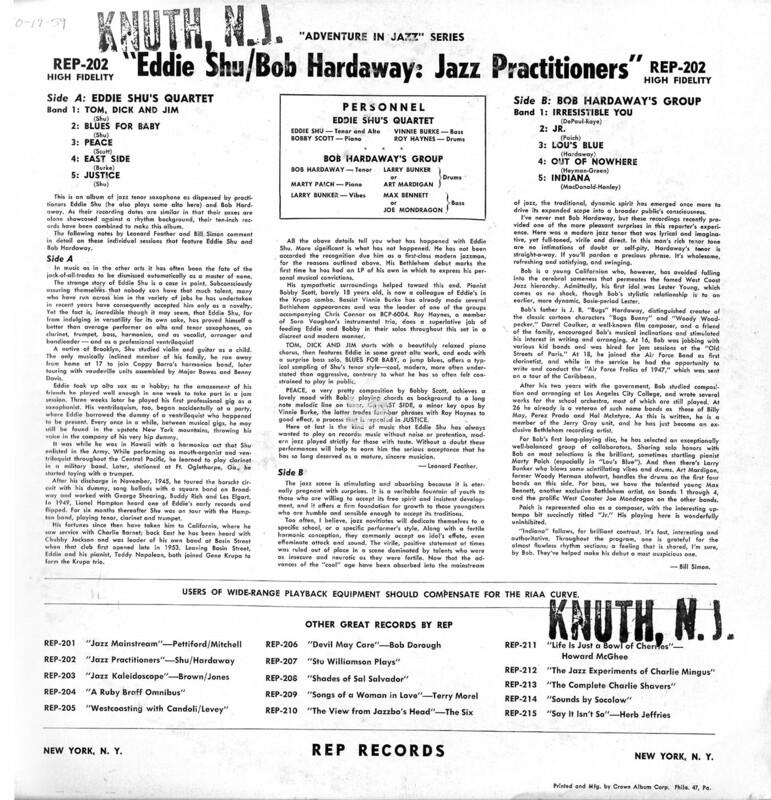 I purchased it, even though I hadn't heard of one of the players and only knew of the other from his association with Gene Krupa. The album was issued on Bethlehem, a '50s company that, from about 1956 until 1964 or so, issued hundreds of LPs by artists known and unknown. 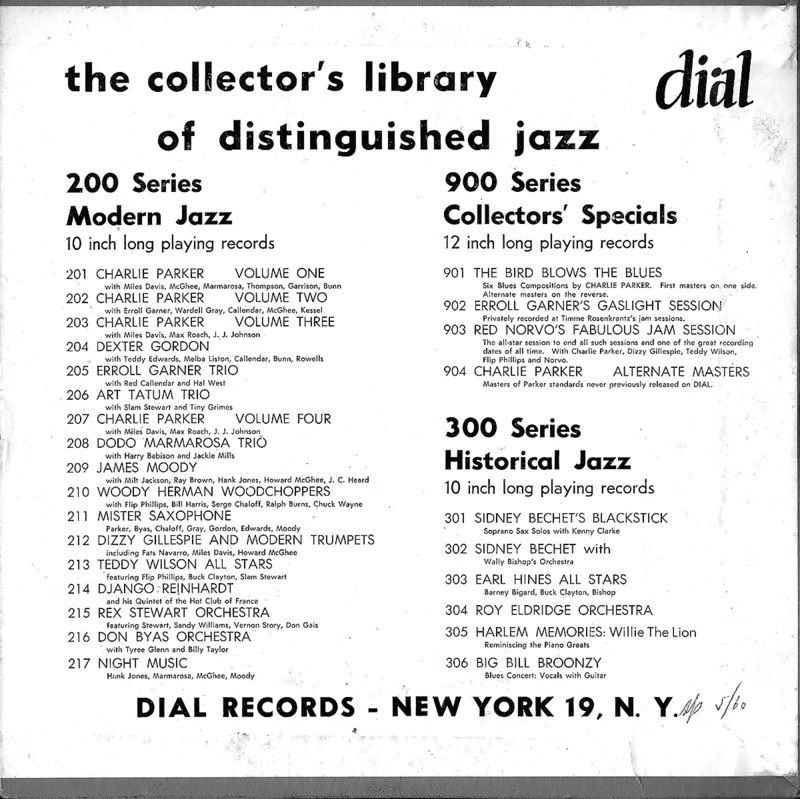 I don't why they put out so much product, but they covered everything from Ellington to Mingus to Herbie Nichols and Ruby Braff. They especially featured singers, the more obscure the better. Ever heard of Helen Carr? Terry Morel? Jerri Winters? How about Marilyn Moore? Me neither. But they all recorded for Bethlehem. 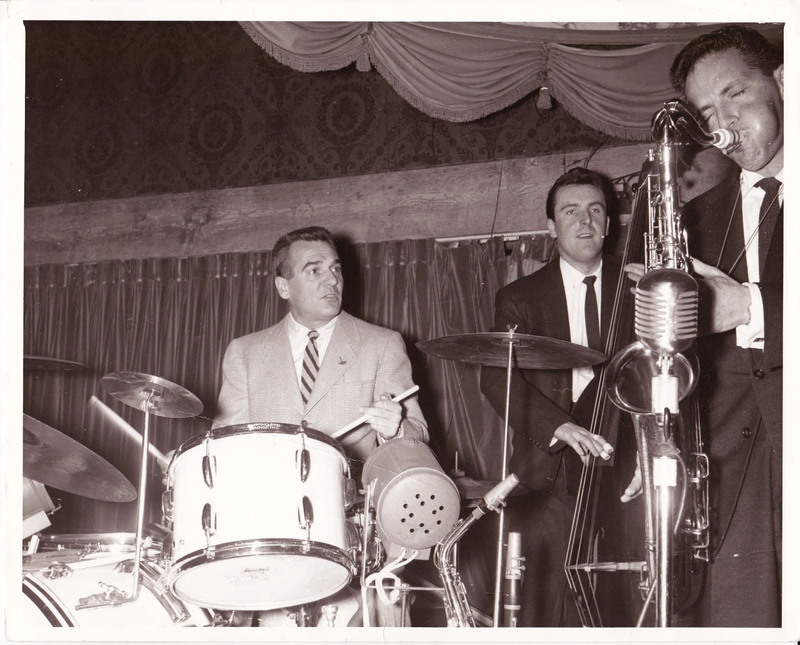 So here are a couple of guys who weren't vocalists, the "Jazz Practitioners." 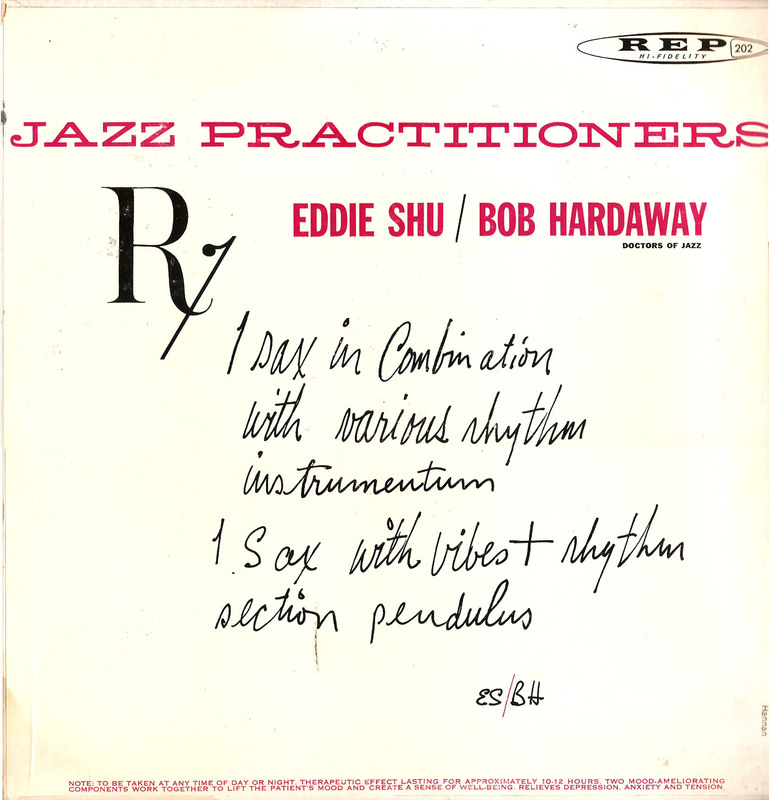 The LP features the saxes of Eddie Shu and Bob Hardaway, a reissue of two EPs that were released earlier, one for each artist. 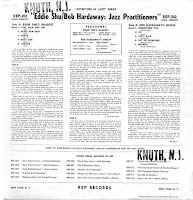 Eddie Shu, aka Edward Shulman, worked with Tadd Dameron, George Shearing and Lionel Hampton before spending four years as part of Gene Krupa's trio. This is the only recording he made as a leader (I think), and he sounds great. A bit like Georgie Auld, maybe even a touch of Don Byas, and on alto, Eddie Harris. If you don't know him, you'll be pleasantly surprised. The other horn man here has an interesting back story. His old man, it turns out, was "Bugs" Hardaway, the cartoon artist who created Warner Brothers' venerable wascally wabbit, Bugs Bunny. He also came up with Woody Woodpecker. You would have thought Bob would have gone into the cartoon business, but no. He's an excellent tenor player, muscular and inventive, sounding a little like Sonny Rollins (squint your ears). The side guys are all excellent, too. Larry Bunker does double duty on drums and vibes, and Bobby Scott plays some nice piano. Roy Haynes is an added plus. 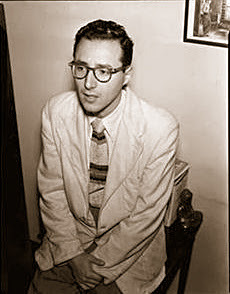 Marty Paich was still paying the bills as a piano player, not yet the studio arranger and conductor he would become. So here are the jazz docs, quite capable practitioners as it turns out. The sound quality of the files is quite good despite the LP's venerable age. 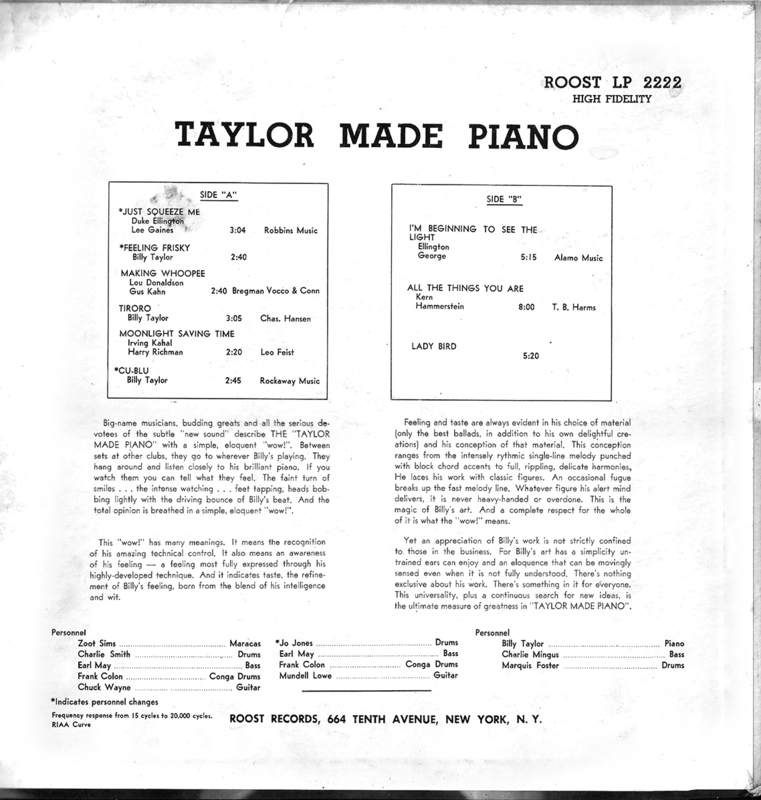 The copy here is actually a reissue on the Rep label, a Crown imprint. Crown licensed Bethlehem recordings and issued a few on Rep before disappearing, as record companies tend to do. It's a certified vinyl dub, so enjoy! 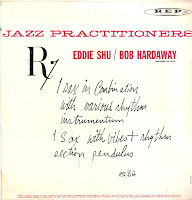 Eddie Shu, as, ts; Bobby Scott, p; Vinnie Burke, b; Roy Haynes, d.
Bob Hardaway, ts; Marty Paich, p; Larry Bunker, vbs, d*; Max Bennet, Joe Mondragon*, b; Art Mardigan, d.
Maybe you know the recordings that were issued on the Dootone (or Dooto) Record label in Los Angeles during the 1950s? If you do, you probably know that much of the label's material featured comedians like Redd Foxx or second-tier doo-wop groups hoping for that pie-in-the-sky release that might chart and bring them a few months of fame. Groups like the Whippoorwills or the Medallions. One of Dootone's vocal quartets did eventually hit pay dirt. The Penguins scored a No. 1 hit with "Earth Angel." 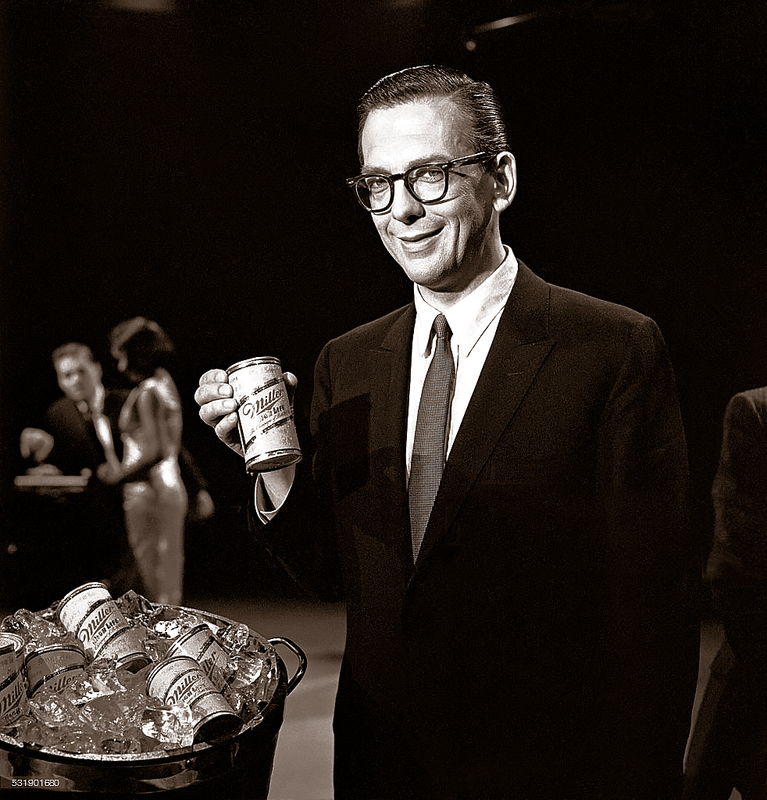 But Dootone also recorded a few sides by some very fine jazz players. 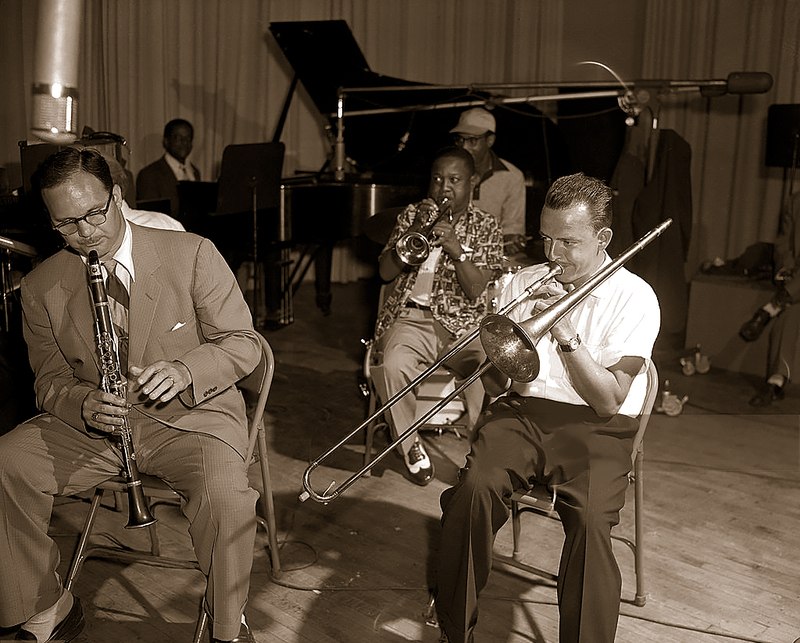 Chief among those was Dexter Gordon, who produced an excellent album for Dootone in 1955. The legendary jazz pianist Carl Perkins issued what would be his only LP as a leader on Dootone in 1956. Then there were the albums by the artists featured in this Gems posting. 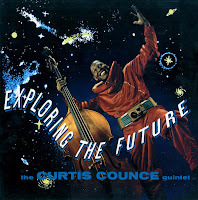 Both Curtis Counce and Buddy Collette recorded for Dootone in 1958, releasing, respectively, "Exploring the Future" and "Buddy's Best." These albums featured the leaders fronting formidable hard bop quintets, including the stellar pianist Elmo Hope and tenor player Harold Land in Counce's band, and a rare appearance by trumpeter and future big band leader Gerald Wilson with Collette. Though the records were quite good, they didn't sell well and Dootone soon abandoned jazz for the more lucrative market of bawdy comedy. 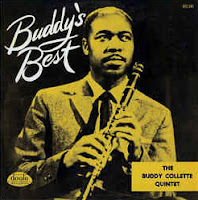 I've had all the Dootone jazz LPs, including the two by Buddy and Curtis, in my collection for many years. What I didn't know was that label owner Dootsie Williams sold his jazz material sometime in the late 1950s to another company, an outfit in Culver City named Bel Canto Records, and that Bel Canto had released additional material from the Counce and Collette dates. I only discovered this was so when I came upon the album offered here in a pile of yard sale cast-offs this past summer. The cover caught my eye, and I'm glad it did. and record producer, in 1956. What we have here are more excellent performances by both bands. 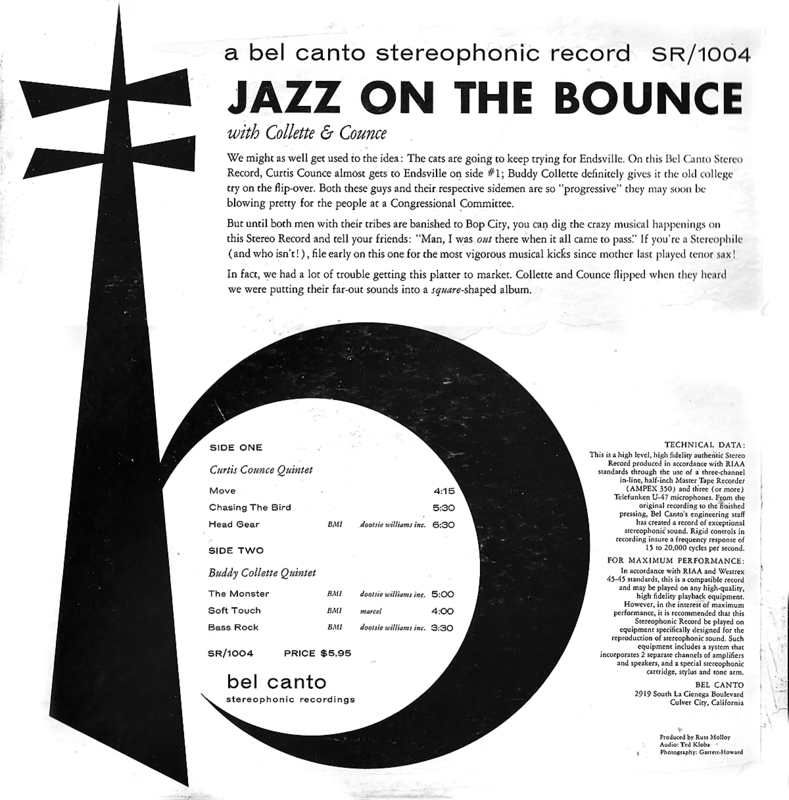 The Counce quintet features drummer Frank Butler on "Move" and gives Elmo Hope the lead on a trio selection – presumably written by the pianist – called "Head Gear." Collette uses "Bass Rock" as a feature for bassist Wilfred Middlebrooks and does some nice soloing along with Gerald Wilson on the other selections. For some reason, Bel Canto packaged this LP in a box. Why they went to the extra expense is beyond me, having to use cardboard inserts to fill out the additional space left by the single LP. They also pressed the album in deep blue vinyl, a nice touch visually, but of no practical benefit to the music. So here are some very rare sides by two West Coast stalwarts. The Counce side had some bothersome surface noise, but Gems has pretty much removed it. The rest of the LP had no noise issues, so you should be good to go. 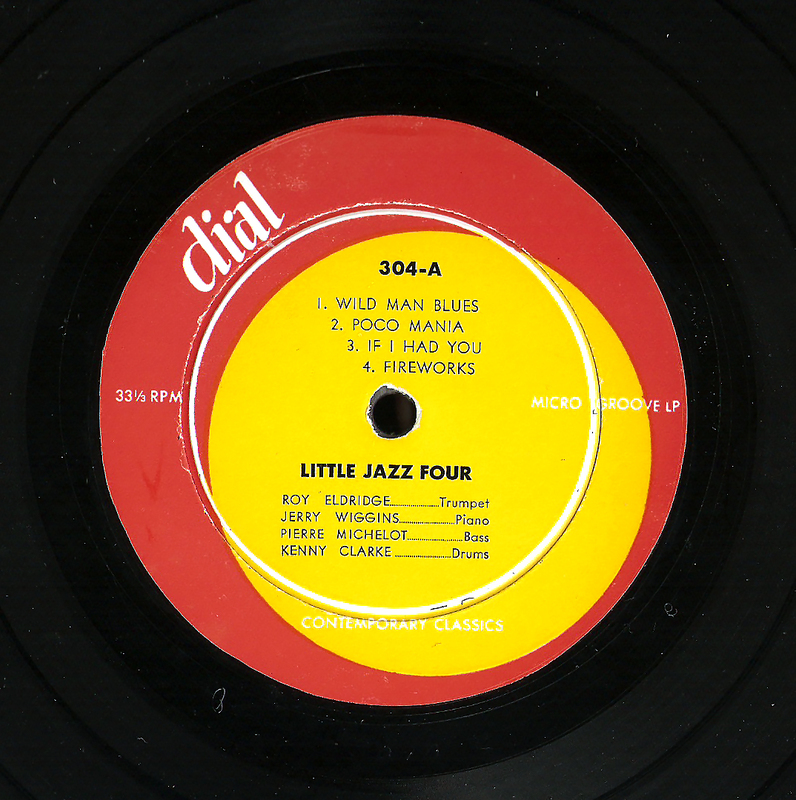 These files were generated right from the six-decades old vinyl, jazz fans. So enjoy! 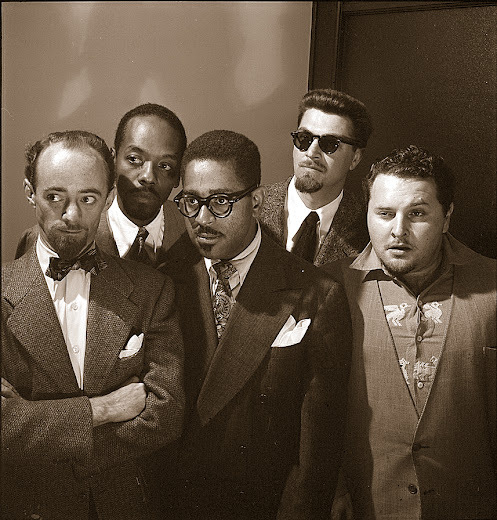 Curtis Counce, b; Harold Land, ts; Rolf Ericson, tp; Elmo Hope, p; Frank Butler, d.
Buddy Collette, fl, cl, ts; Gerald Wilson, tp; Al Viola, g; Wilfred Middlebrook, b; Earl Palmer, d.
Here's a record I bought in a little record store just off Central Square in Cambridge back in the mid-'70s. The place was only open for a summer and didn't have much stock, but it did have a quirky jazz section that had a surprising number of musician-produced LPs. You know – the music that gets called "spiritual jazz" for some reason these days. This album caught my eye because its saxophonist was a sideman on a Sunny Murray record I'd recently purchased. His name was Byard Lancaster and he played screaming alto in an intense, take-no-prisoners style. The album was on Dogtown Records, a company based in Philadelphia, Lancaster's hometown. I put down a couple of bucks and took it home. 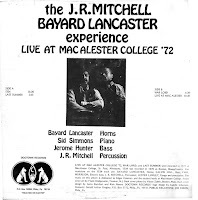 Co-leading the group presented on the LP was James Roland "J.R." Mitchell, also a Philly native and a percussionist with whom Lancaster had attended Berklee College. I'd never heard of Mitchell, but I was pleasantly surprised by his powerful, tasteful style. 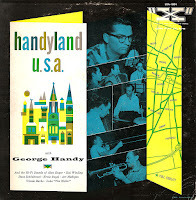 He was more straight-ahead than Sunny Murray or Steve McCall, but he could also go out, following Byard (spelled "Bayard" on the cover) wherever the flamboyant saxophonist took the music. One thing I wasn't expecting was to hear Lancaster solo on trumpet. I don't recall if he plays that instrument on any other records of his that I've acquired over the years, but he does a competent job here. He also serves up solos on flute, bass clarinet and soprano in addition to his regular alto. 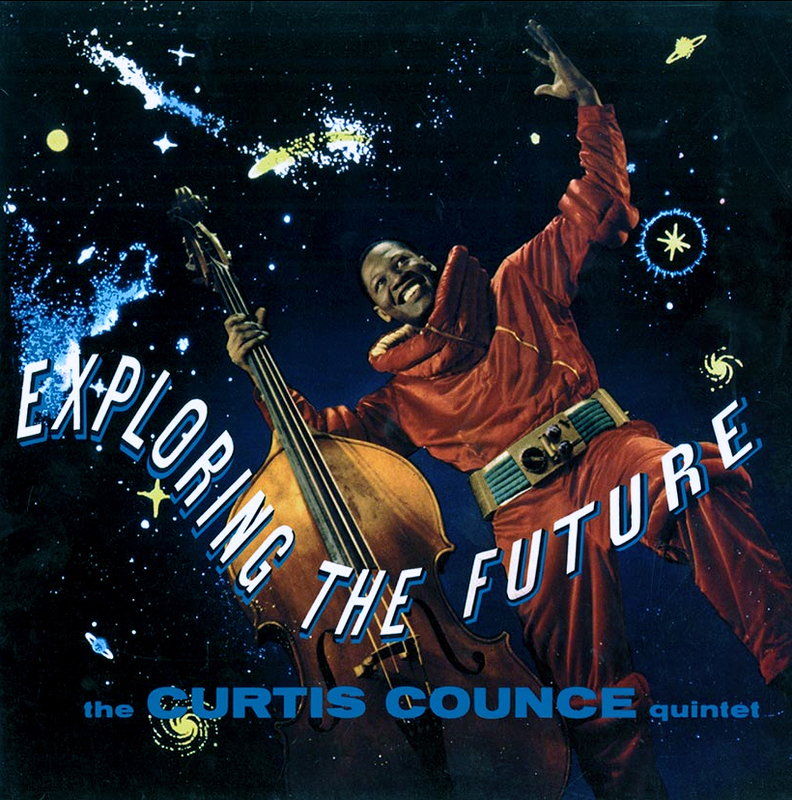 The saxophonist and drummer are joined by bassist Jerome Hunter and pianist Sid Simmons, both also from Philadelphia, comprising a quartet which the album liner notes call the "Experience." Oddly, most of the music heard was recorded in concert at MacAlester College in St. Paul, Minnesota. Why J.R. and Byard chose to record so far from home is a mystery, but maybe the school offered to professionally record the performance as part of the deal. Whatever the story was, the recording quality is first rate (not always the case with "spiritual jazz" albums). 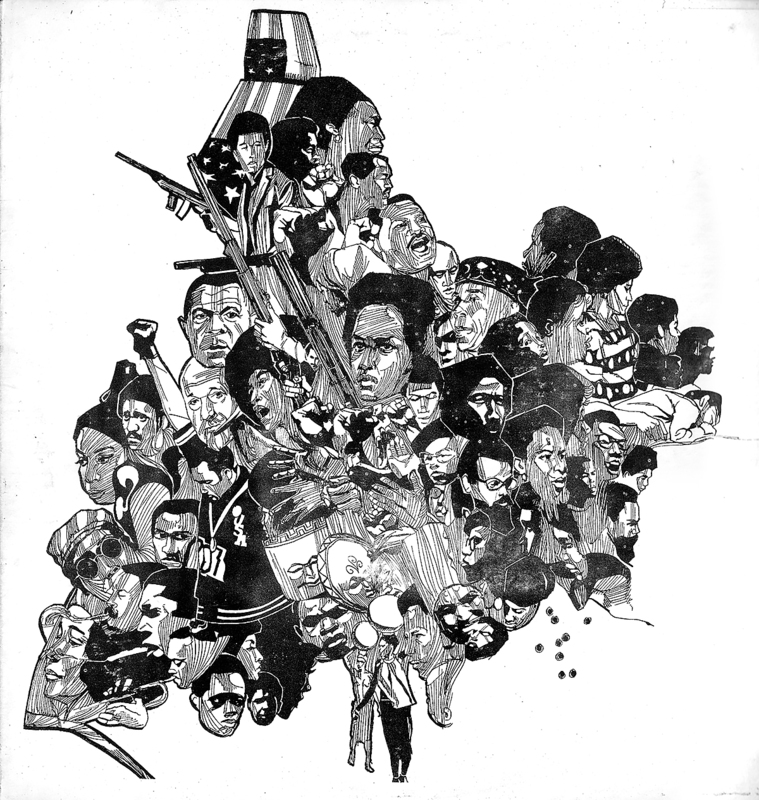 One other selection was recorded closer to home in Boston, in 1970 when Lancaster and Mitchell were Berklee students. 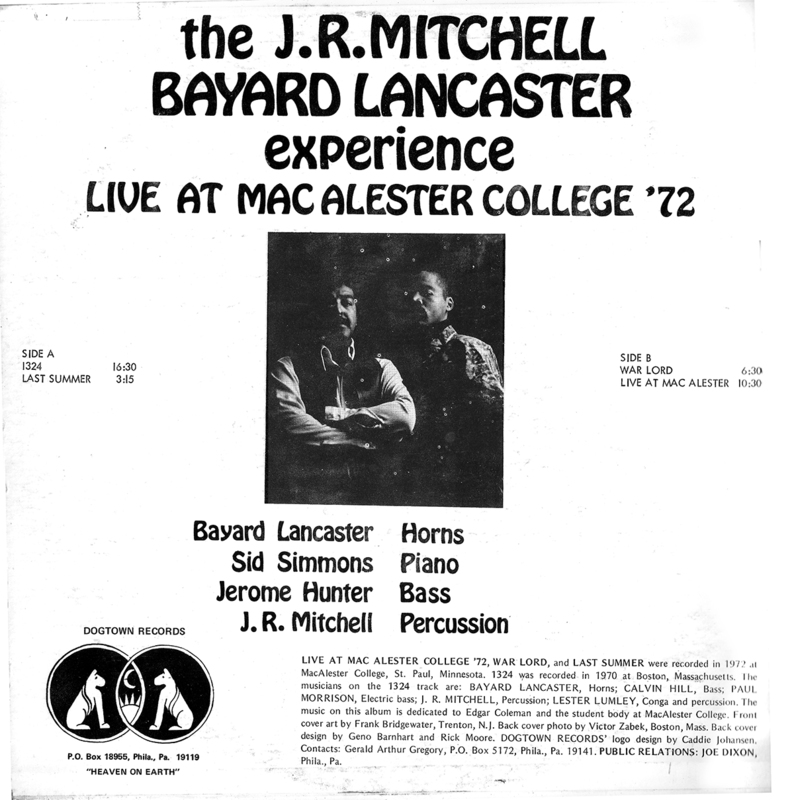 So here's the J.R. Mitchell/Byard Lancaster Experience live in concert. Sound quality is very good with little cleaning required. As always, ripped from the original vinyl, I kid you not! 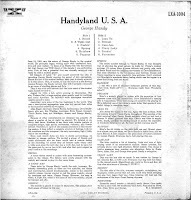 Byard Lancaster, as, fl, b cl, sop; Sid Simmons, p; Jerome Hunter, b; J.R. Mitchell, d.
How many of us know what it means to labor in the vineyards for most (or all) of our lives, unacknowledged and uncredited? I don't know about you, but I sometimes feel that way. Not that I've accomplished anything terribly remarkable in my time on terra firma, but still it's nice to get a nod every now and again. Sorry to be a whiner, but this month's Gems offering was created by jazz guys who made a career out of the music without ever getting much in return. They all made a living (probably), and they got to do what they loved every day (or night). But nobody got rich and nobody got famous. They did get to make one record, though. That's something. 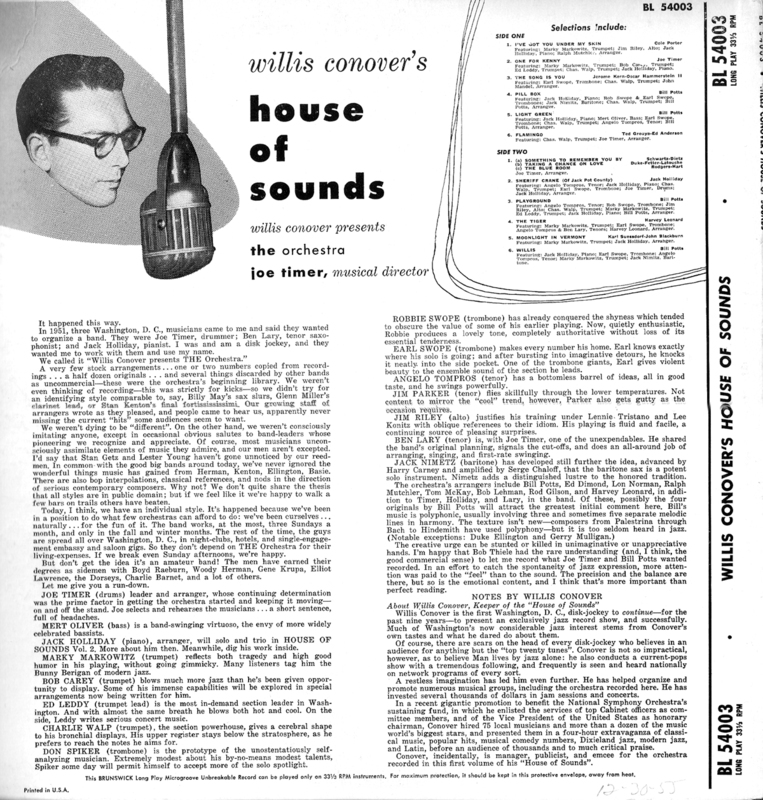 You've heard of Willis Conover, the legendary jazz host of Voice of America, emcee of the Newport Jazz Festival and interviewer. 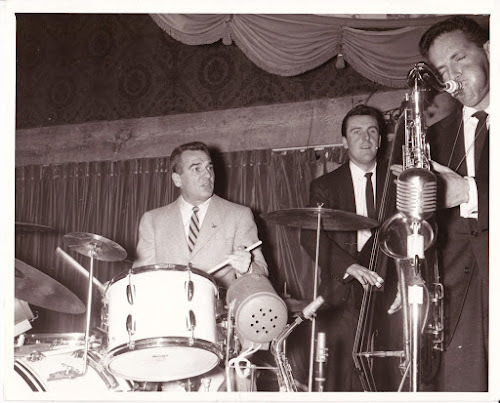 In 1951, several local musicians – drummer Joe Timer, tenor man Ben Lary and pianist Jack Holliday – approached Conover in Washington, D.C., (where he was based) and pitched the idea that the DJ front a jazz orchestra that they wanted to put together. 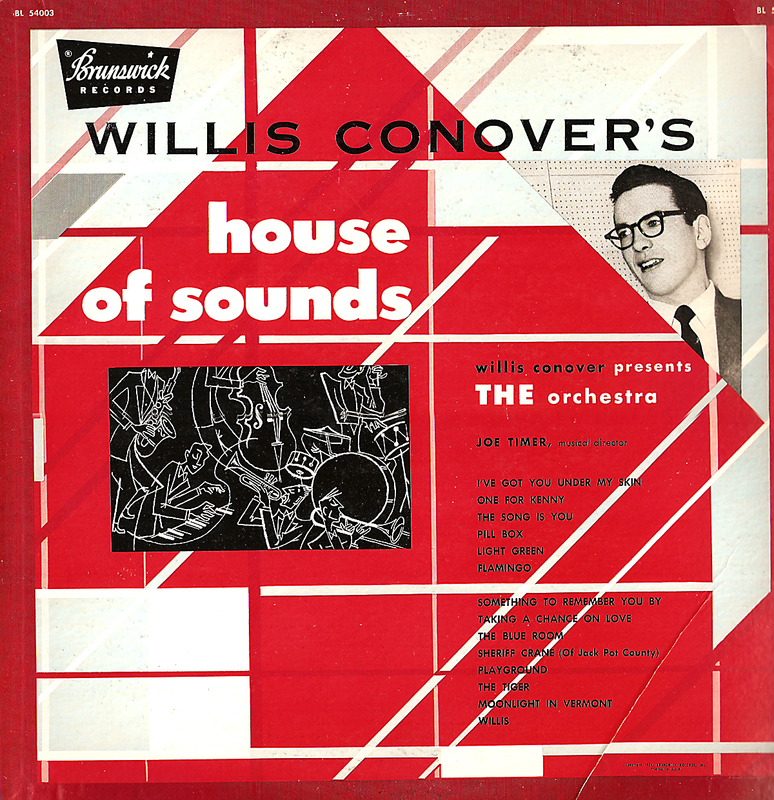 Conover agreed, and the result was THE Orchestra, caps intended. Assembled from D.C. musicians who had played in the bands of such luminaries as Boyd Raeburn, Woody Herman, Gene Krupa, Tommy Dorsey, Charlie Barnet and many more, the 15-piece band boasted solid musicianship, excellent arrangements and a wealth of good (if unknown) soloists. 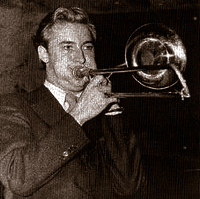 Players whose names you might recognize include the Swope brothers, Robbie and Earl, on trombones, baritonist Jack Nimetz and trumpet player Marky Markowitz. Bill Potts, Timer and others did the arrangements. 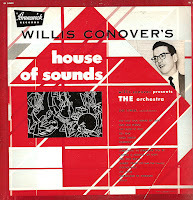 Conover acted as the band's emcee, manager and publicist. 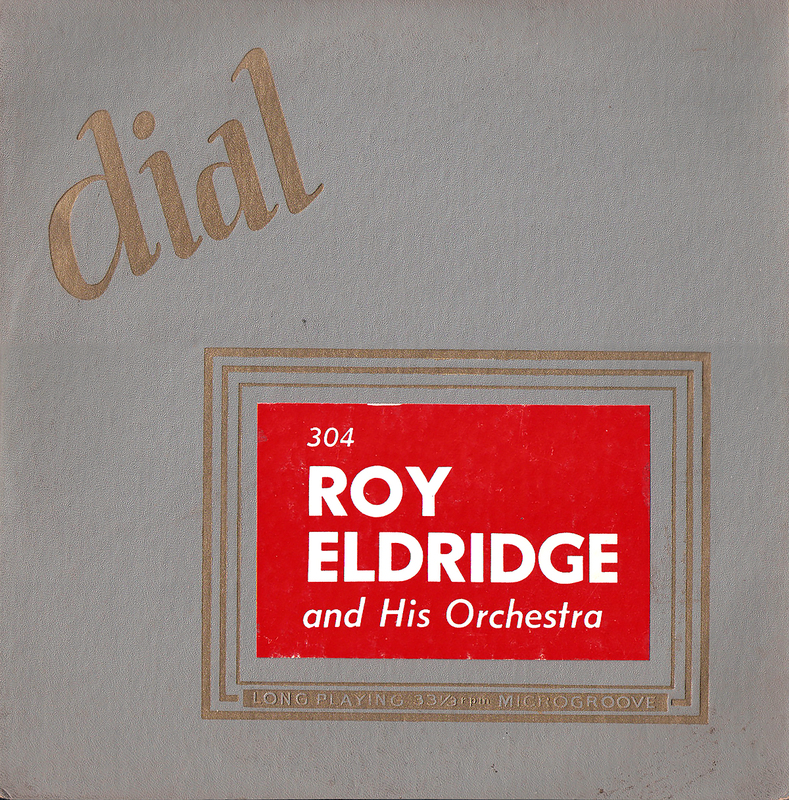 So here's an excellent big band, late out of the gate, that worked around the D.C. area, made this record and then passed unacknowledged into history. 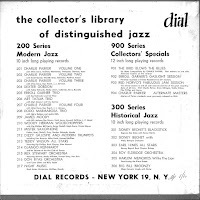 There are, fortunately, several amateur live recordings as well, one with Dizzy and another that featured Charlie Parker, that were eventually issued on Elektra (both excellent). But that's it. So Gems is doing its bit to get the word out about these gents. The music on this album (a generous 45 minutes worth) is thoughtful, well-played and swinging. 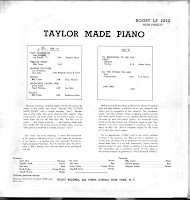 The record itself came our way in box of contents at an auction, a collection that also included some nice Woody Herman, Claude Thornhill and Nat Pierce's big band at the Savoy. But this one was the gem in the lot. I hope you think so, too. As always, dubbed right from the vinyl with hardy any cleaning necessary. Bob Carey, Ed Leddy, Marky Markowitz, Charlie Walp, tp; Dan Spiker, Earl Swope, Rob Swope, tbn; Jim Riley, as; Ben Lary, Jim Parker, Angelo Tompros, ts; Jack Nimitz, bar; Jack Holliday, p; Merton Oliver, b; Joe Timer (Theimer), d, cond. 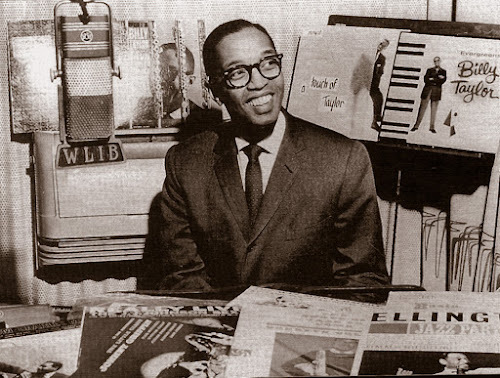 As a DJ on WLIB in New York City during the 1960s, Billy Taylor played music by his friends and musical associates, and shared stories of the jazz life with his thousands of listeners. Photo from "Jazz: The First Century"
Ladies and gents, Billy Taylor: jazz's forgotten jack of all trades. 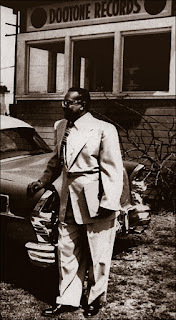 The guy could play like Tatum, composed and arranged over 300 tunes, performed on hundreds of record albums, hosted his own jazz radio programs locally in New York City and nationally over NPR, did television shows for NBC and NET, created Harlem's Jazzmobile, taught college level jazz courses, and could speak with the erudition of PhD candidate. Wiki says over the course of his career he amassed 23 honorary doctoral degrees. I believe it. 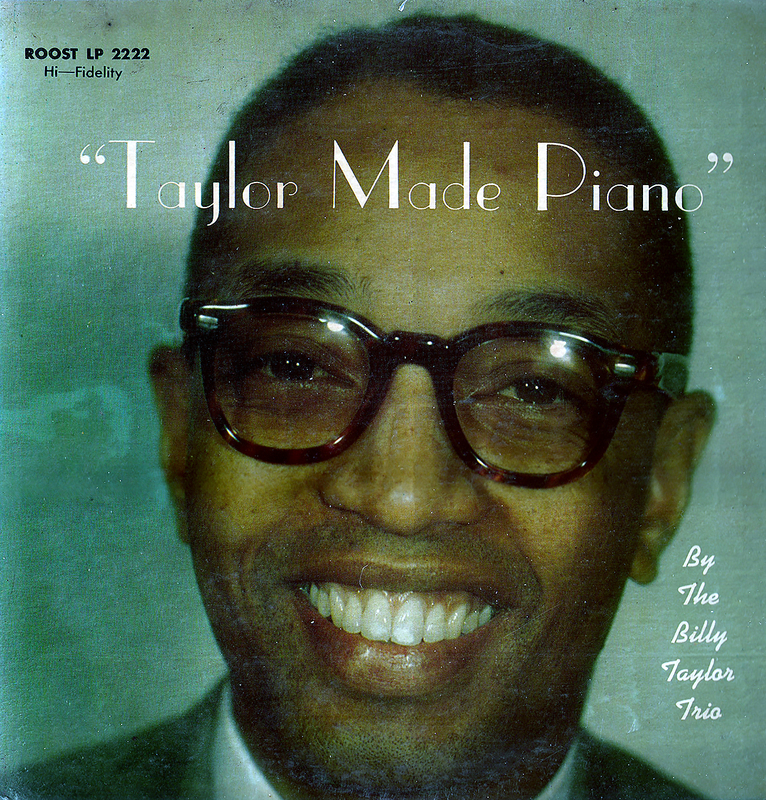 So why is it that today Billy Taylor is largely overlooked when jazz aficionados congregate? Why isn't his music taken more seriously? 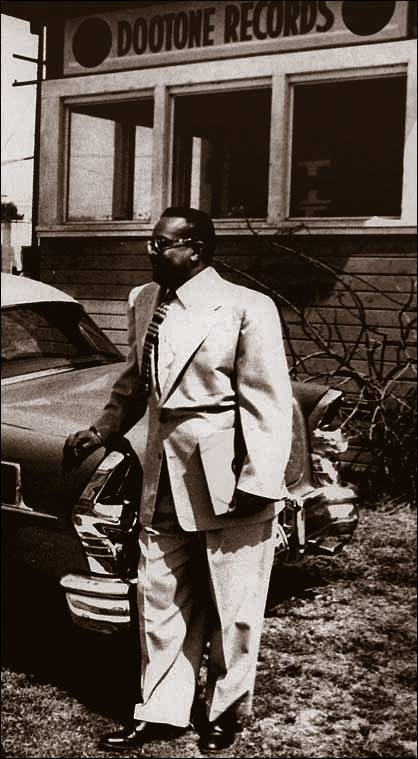 Even Oscar Peterson, himself a Tatum follower with a tendency to indulge in easy stylistic grandstanding, gets more props than Dr. Billy. It's a mystery. I first started listening seriously to Dr. Taylor's music back when he went on air with "Jazz Alive!" on NPR back in the mid-'70s. Every week he featured real jazz players (at least, I considered them so) in live performance. 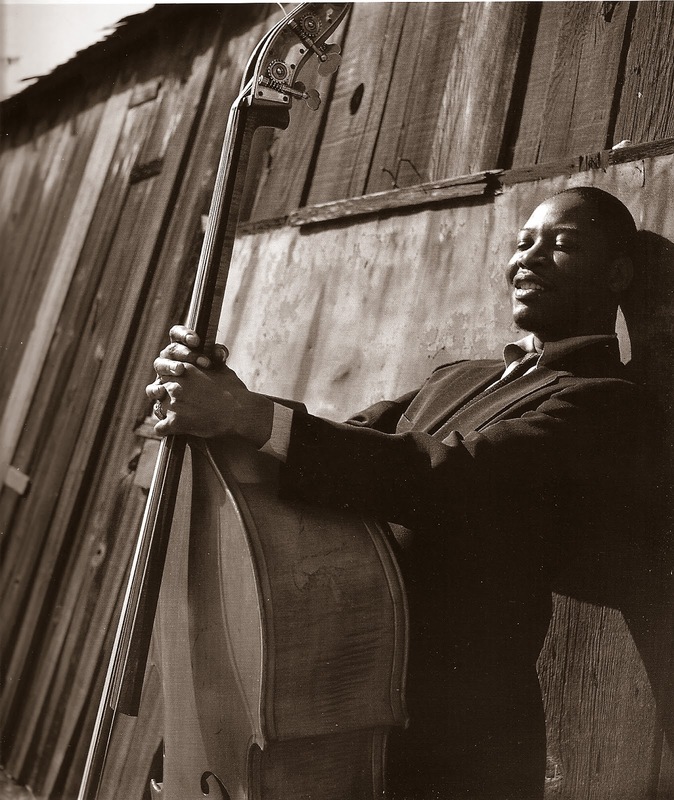 I heard Rollins, Max Roach, the Heath Brothers, Dizzy, Mingus and many others on his broadcasts. But I also heard Braxton, Sam Rivers, Chico Freeman, the Art Ensemble and other leaders of the creative music movement. I taped many of the segments and still listen to them today. Billy may not have liked all the music he featured, but he brought it to the airwaves for all of us to share regardless of his feelings. For that alone, I deeply respect him. Nobody else did that. But then there was his playing. 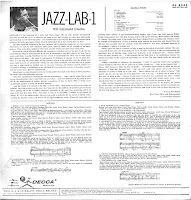 The guy could play, and while he was not a genius like Bud Powell or a visionary like Cecil Taylor, he could surprise and delight with the best of them. Case in point, this hoary Roost recording. A compendium of earlier sessions, the music comes from the early '50s and captures Taylor under the joint sway of Tatum and Powell. His performances are brisk and pyrotechnic, and if you've not really heard his early work before, this LP is for you. The sound is iffy in places, due in large part to a previous owner's bad needle, but I think the download is definitely worth the price of admission. Dubbed, as always, from the original wax, fear not! 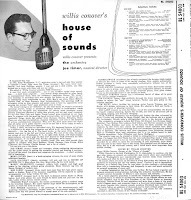 Billy Taylor, p; Chuck Wayne*, Mundell Lowe, g; Earl May, b; Frank Colon, cnga; Zoot Sims, maracas; Charlie Smith, Jo Jones*, d.
New York, NY; November 1, 1951; May 2, 1952; autumn 1952. Billy Taylor, p; Charles Mingus, b; Marquis Foster, d.
This offering comes from an eBay two-fer sale that had a pair obscure John Graas recordings for one low price. A sucker for a bargain, I bid on and won the two discs, one of which is featured here. What did I know about Mr. Graas before I won the auction? Aside from his name, very little. 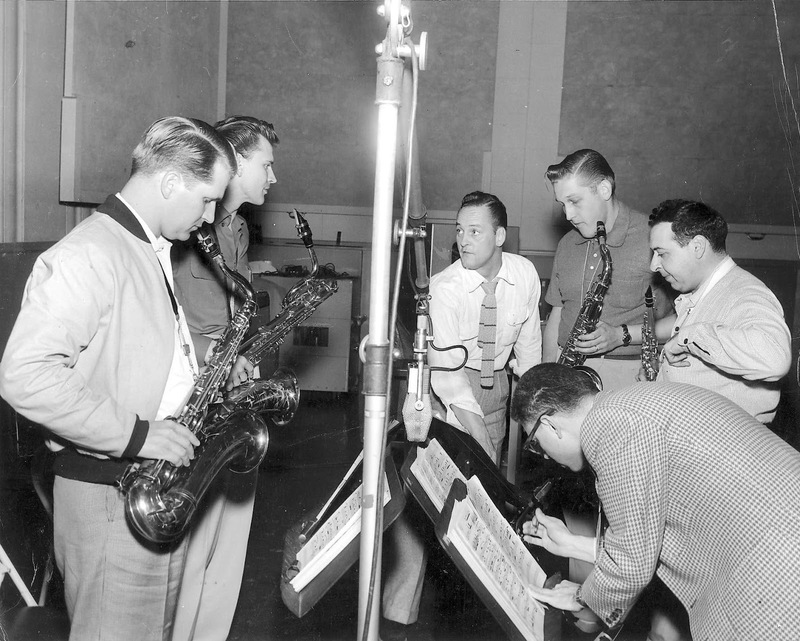 Turns out Graas studied with Lennie Tristano, that most pedagogic of pedagogues, did concert tours with Stan Kenton and got his start with the pioneering big band of Claude Thornhill. He also gigged with the Indianapolis Symphony and played under Serge Koussevitsky at Tanglewood in the Berkshire Mountains. 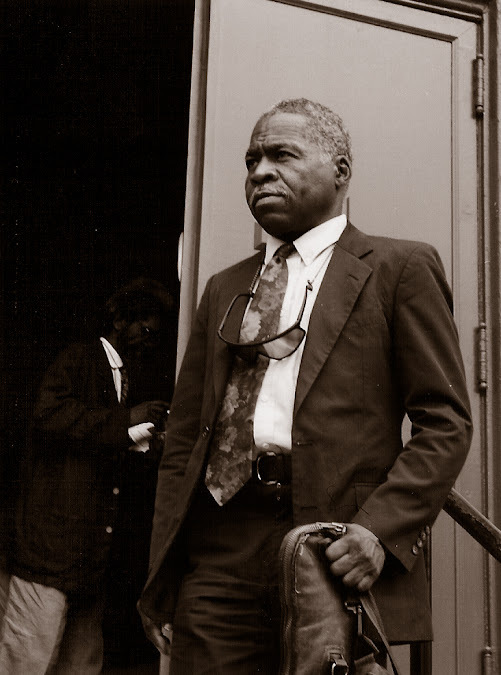 As you might suspect, he was classically trained and incorporated classical influences into many of his jazz compositions. A Third Streamer he wasn't, but he occasionally crossed that line. 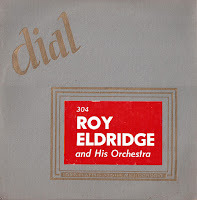 He was also Metronome magazine's poll-winner in 1955 in their Miscellaneous Instruments category. The French horn was indeed a miscellaneous ax in those days. Maybe today, too. So here's John Graas' first Decca release, the initial album in their "Jazz Lab" series, a project they hoped would "act as an incentive for young writers and jazz men to create more individually and freely than ever" (can you imagine a mainstream label embarking on such an endeavor today?). The company claimed that music students could write to Decca for the sheet music to many of the tunes heard here. 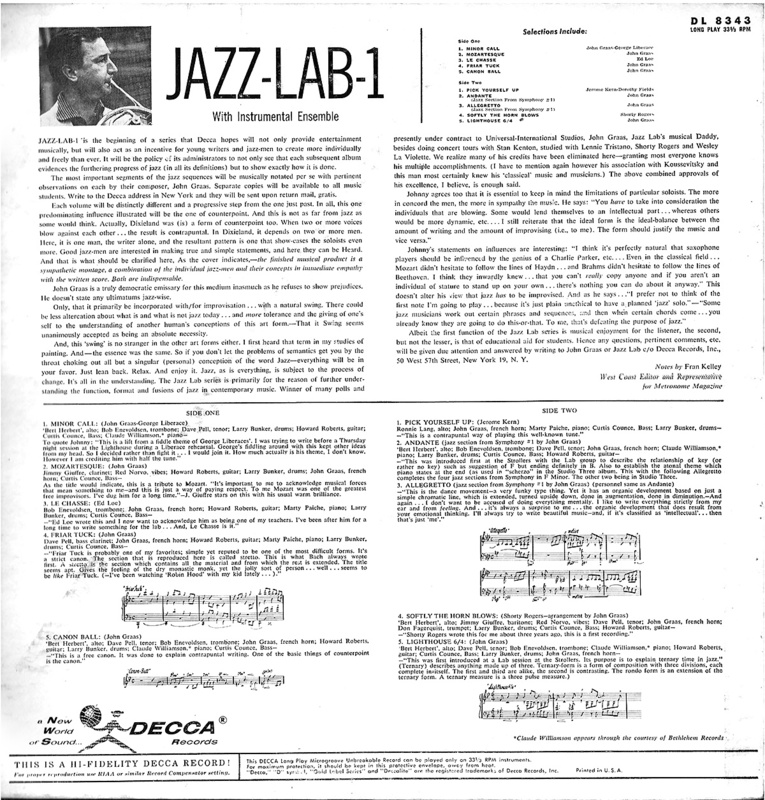 For the price of a couple of stamps, fans could get copies of John Graas' lead sheets, which seems like a very thoughtful service. Wonder if they actually ever did it? 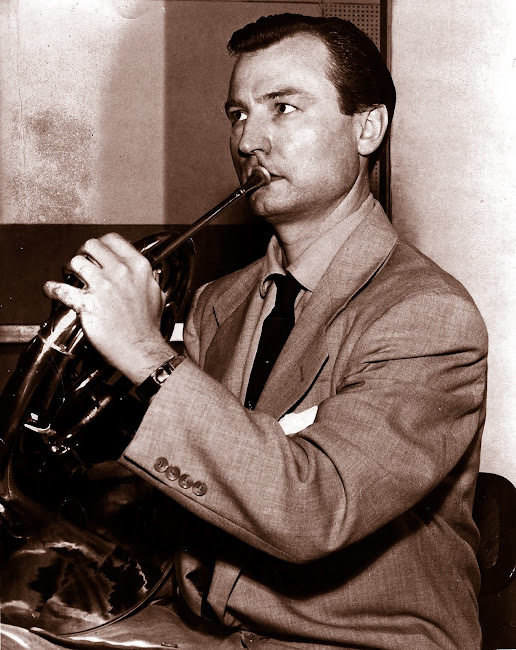 Included in the ensembles here are the cream of the West Coast's jazz crop – Jimmy Giuffre, Bob Enevoldsen, Dave Pell, Curtis Counce, Don Fagerquist, Howard Roberts, and many others. The music, I confess, is a bit academic in places, a bit too classically conceived for my taste. But some of the other compositions are delightful swingers, and the soloing is top-notch throughout. 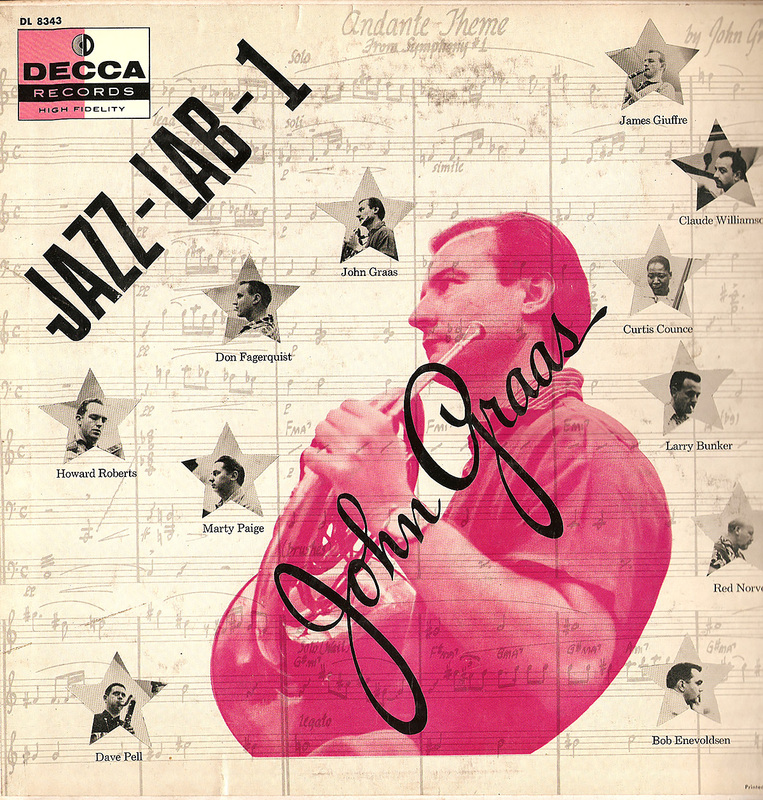 Mr. Graas himself is especially effective. 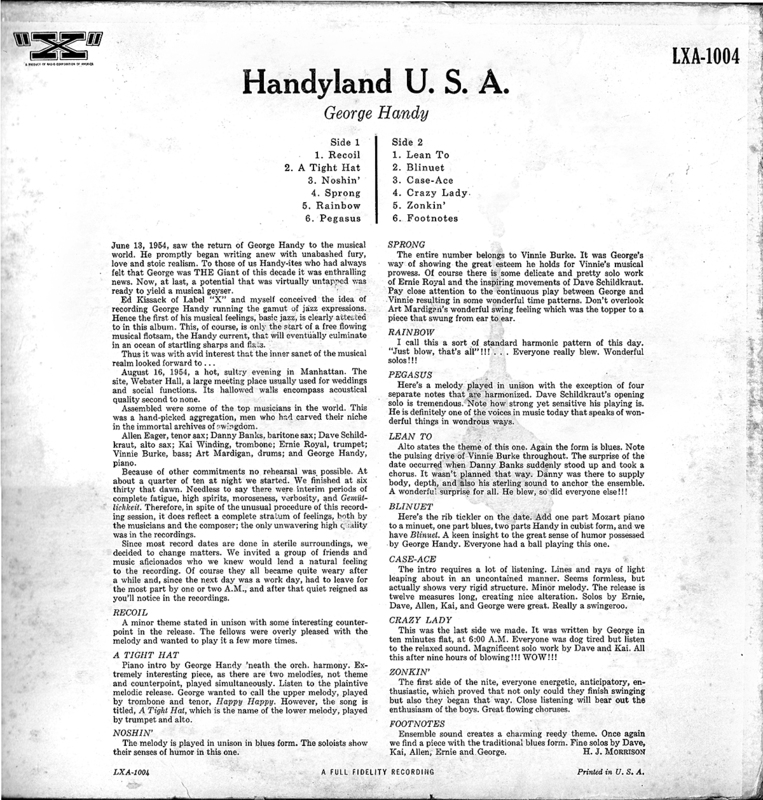 These files, as always, were created right from the original 61-year-old vinyl. A word of warning – there's a bit surface noise throughout Nothing too distracting, but it's there occasionally. I think the music will overwhelm whatever minor aural deficiencies are there. Enjoy! John Graas, fr hn, arr; various groups including Herb Geller ("Bert Herbert"), as; Bob Enevolden, tbn; Dave Pell, ts; Jimmy Giuffre, Ronny Lang, bar; Marty Paitch, Claude Williamson, p; Red Norvo, vbs; Howard Roberts, g; Curtis Counce, b; Larry Bunker, d.
Here's one that's been in the collection for decades. 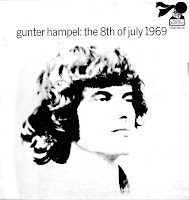 Back when I was listening almost exclusively to the so-called avant garde, I was delighted to find this gem in the dollar bins at my local record emporium – Rose Records in the Loop, as I recall. It was one of the first albums I ever purchased by a European artist, and I was very pleased that I did, even though three of its players are stars from the States. Though they weren't really stars at the time. 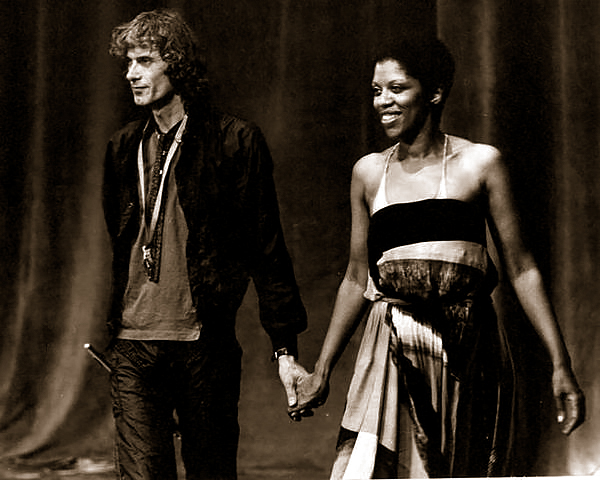 Hampel and his wife, vocalist Jeanne Lee. In the '80s, I used to occasionally catch Gunter Hampel in New York, playing with his longtime associates, Perry Robinson and Mark Whitecage, among others. I think, by that time, Hampel's marriage to the stellar Jeanne Lee had ended (I never saw them perform together, much to my regret), and he was mostly leading a motley big band of dubious quality. At the time, at least, I thought his group wasn't very good. 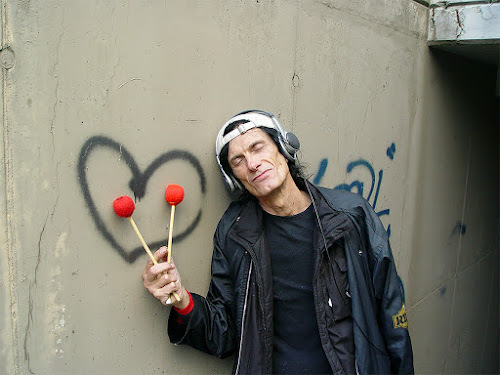 What impressed me about him, though, was his absolute dedication to the music. It didn't matter if there were more people on the bandstand than in the audience, he gave it his all. And doubtless still does. 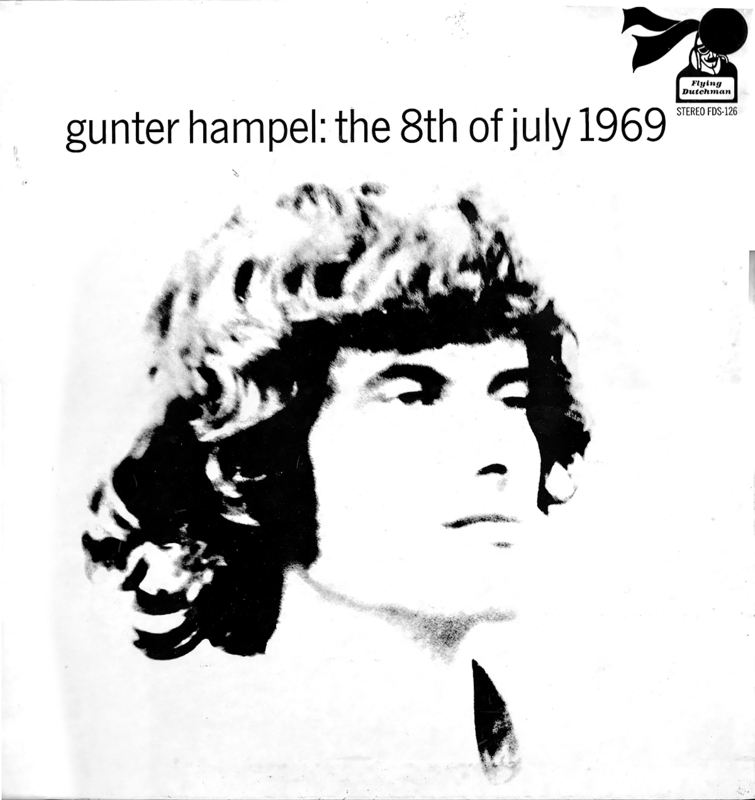 So here's the first release on Hampel's own label, Birth, reissued by Bob Thiele's Flying Dutchman label here in America. Why Thiele put it out is a mystery, but then I guess a guy who releases Coltrane's "Ascension" would have been game for anything. 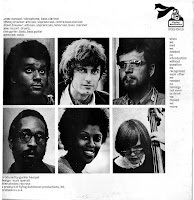 Anthony Braxton is the star soloist while Steve McCall drives everything along nicely with a solid AACM pulse. Willem Breuker gets in a few licks while, surprisingly, Gunter is mostly in the background. What holds all the free improv together is Sister Lee's husky vocalizing – absolutely beautiful! The record is a prime example of the best of the free jazz movement, offering frenetic blowing with subtle, quiet passages and islands of melody engulfed in swirls of poly-rhythms. So here's one for you progressive jazz fans, even though it's half-a-century old. As always, these files were created from the original vinyl with, in this case, no cleaning whatsoever. Creative music – power stronger than itself! Hampel, vbs, p, b cl; Anthony Braxton, as, ss, contrabass cl; Willem Breuker, as, ss, b cl, ts; Arjen Gorter, b; Steve McCall, d; Jeanne Lee, v.